Fresh from his first stakes win on Crack Me Up, Matt McGillivray gets a chance for a 2nd at Doomben. Jeff Lloyd and Robbie Fradd’s decision to miss the Doomben meeting has given rising star jockey Matt McGillivray a chance to win his second stakes race. Lloyd and Fradd will be riding in an international jockeys series in Mauritius where they have both previously been champion jockey. They dominate the Queensland metropolitan jockeys’ title race with Lloyd, the winner for the past two years, on 37 and Fradd, who rode 5-1/2 winners at the Gold Coast on Wednesday, on 35-1/2 winners. McGillivray, who is in third place on 25, won his first career stakes race on Crack Me Up in the Listed Recognition Stakes last Saturday. 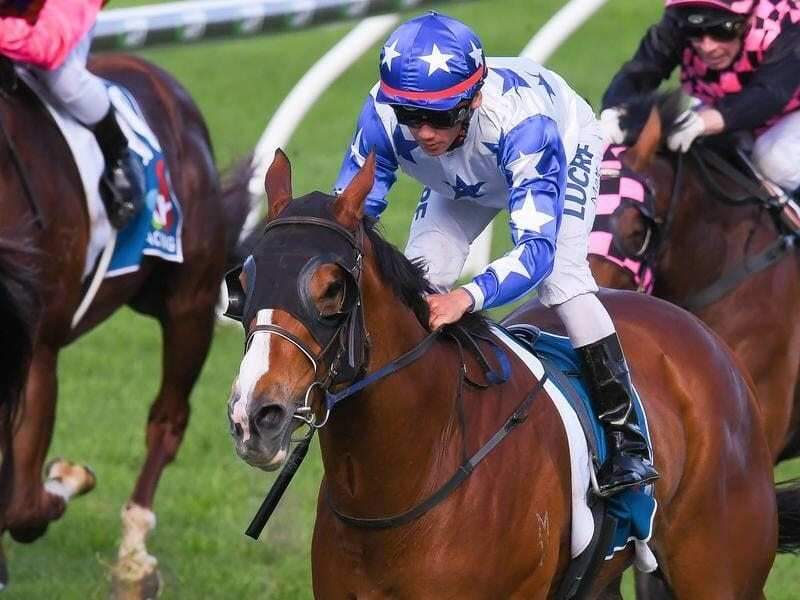 Trainer Toby Edmonds would have usually booked Lloyd or Fradd for Siegfried in the Group Three George Moore Stakes (1200m) at Doomben on Saturday. In their absence, he has now gone with McGillivray to ride Siegfried. “Matt is riding very well and I am happy to use him when I can,” Edmonds said. Siegfried will be resuming on Saturday and is being aimed at the summer feature sprints. Edmonds said he would definitely run although his wet track form is only fair with Doomben was in the heavy range on Friday. Siegreid has had two trials in the lead-up to his return, winning one and running a handy fifth in the other. “He ran second in the Prime Minister’s Cup and third in a Weetwood Handicap during the winter so he has shown this is about his class,” Edmonds said. The Gold Coast trainer has elected to take three-year-old Whypeeo to Sydney for his return to racing. Whypeeo had been entered at Canterbury, Rosehill and Doomben where he was not among the acceptors. Edmonds has chosen to run him at Canterbury on Friday night rather than the 1200m-open sprint a day later. To be ridden by Blake Shinn, Whypeeo is the odds-on favourite to win over 1100 metres.